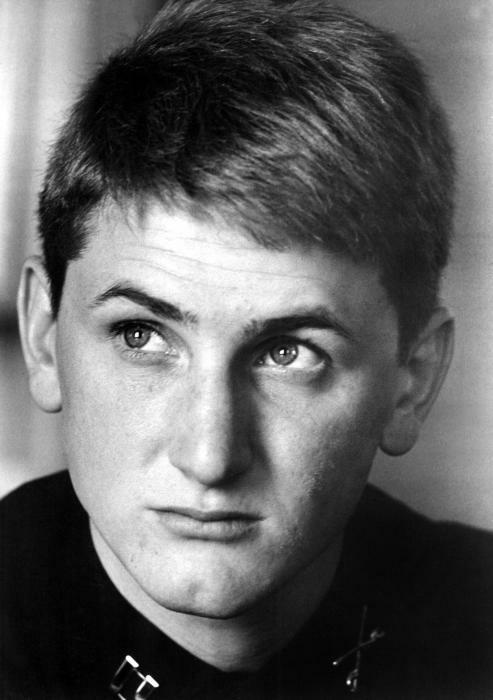 So, I have been on somewhat of a Sean Penn kick recently, specifically his early stuff. He must have been just the most astonishing young actor to watch back in the early-mid ‘80s. Here, I am going to rank the best performances of his award-winning and diverse career. Note: as incredible of an actor as Penn is, I still feel that his greatest contribution to cinema is his most recent directorial outing, Into the Wild. Everyone has a favorite scene or line from this Penn performance. Personally, mine is the ridiculous surfer dream sequence. The film was basically Penn’s big coming-out party, playing a stoner for the ages. 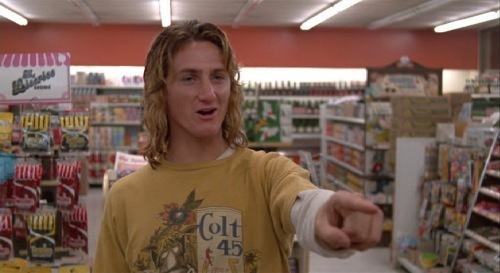 Perhaps the only stoner character that can rival the iconic nature of Jeff Spicoli is Wooderson from Dazed and Confused. What is so great about the Penn in this film is that he totally doesn’t belong in the film, but he is so hilarious that he demands screen time, and as a result, walks away with the movie. In what is definitely one of the best casts of the ‘90s, Sean Penn rises to the top. 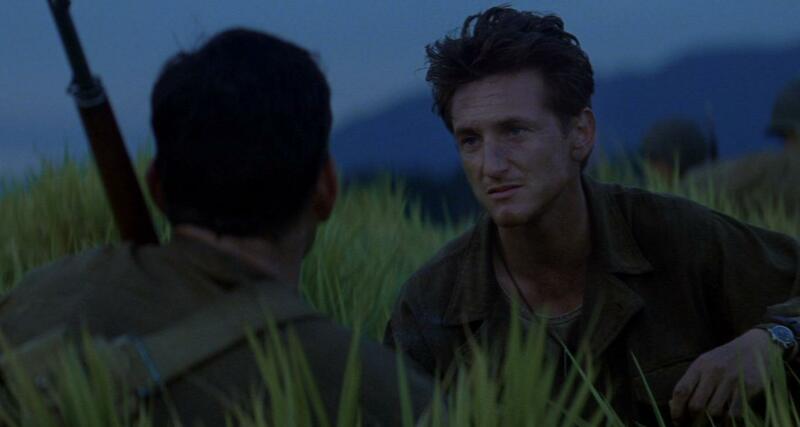 Even though Elias Koteas has all the Oscar scenes and Nick Nolte has the fieriest character, it is Penn’s sincerity that is the lasting impact of one of the most amazing war films of our time. Seeing how brilliant he was in this Malick film, I can’t help but feel upset about how little screen time he ended up with in The Tree of Life. He is a perfect Malick performer. The part of this performance that most resonated with me was how you could really begin to understand what was going on in Samuel’s head. It is so difficult to connect the audience to a character who is that unstable. Penn embraces the devastating nature of the character as well as any actor, and he turns this downbeat character study into some of his finest work. While Timothy Hutton and Tom Cruise got all the pub for this fairly average cadet drama, it is Penn’s supporting part who steals the movie. Perhaps more than any actor today, Penn can give an entire performance with his eyes. This is one of those tragic characters that you can feel the pain of his character just by looking at his face. The scene that results in the fistfight with Major Moreland is devastating to watch. An astonishing debut performance by Penn. I would like to thank Richard Roeper for naming this one of the most underrated movies during his Breach review. If he hadn’t then I may never have found it. It is such a brilliantly-written movie, and the way that Timothy Hutton and Sean Penn play off each other is simply incredible. Usually, you can still see spots of Penn in his roles, but this is one of the cases where he gets completely lost in the character. It isn’t one of the toughest roles he has played, but it is certainly one of his most complete performances. See this movie if you haven’t. Sean Penn is absolutely on fire in this movie. He could have easily overplayed the role with all the figurative and literal punches that his character takes throughout the film, but he plays it subtle. He has such pain and anger in his face. It is one of his most affecting performances, and it is clearly the film that turned Penn into the finest young actor of his time. This could be the most passionate performance that Penn has ever delivered on screen. He lived as Harvey Milk. Seeing clips of the subject of the film, I realized that it is more than just an impression. It was an embodiment. The way Penn is able to wear the quirks of his character and still give the commanding performance that we expect from him is a marvel to watch. And the scenes between him and Josh Brolin are pure brilliance. Despite the opinion of some (Zach), this performance stands as one of the best of the 2000s. It is so much more than the “Is that my daughter in there? !” scene. The devastating scene in the middle of the street with Kevin Bacon and the “I can’t even cry for her” scene just rip my heart out every time in a way that only Penn can. He gets inside his characters and just bleeds passion and authenticity. There is no escaping the impact that Penn has on this movie. It is a master class in acting. This performance is maybe the most devastating of Penn’s career. What is so impressive about this (other than everything) is that so much of his performance is reactions. The way he reacts to hearing his appeal was denied. The way he reacts to hearing the film’s title. It is a performance of subtlety and sincerity. I cannot express how much Penn’s performance got to me particularly in the later scenes. It is certainly among the elite performances of not only his career, but of anyone’s career in the last 20 years (yet Nicolas Cage is still my win in 1995). If you didn’t know better, you wouldn’t even realize that Penn was in this movie. Never has he disappeared into a role the way he did into the coked-out lawyer in Brian De Palma’s superb crime drama. Whenever you can be on the receiving end of an Al Pacino bout of rage and still steal the scene, you know you are doing something special. But the beauty of this performance is that you don’t really know what it is that he is doing. He simply sheds every bit of Sean Penn and steps into David Kleinfeld. Oh, and you know you are iconic when you inspire a character in a video game like GTA: Vice City. Penn is so good that it is scary. Thoughts? Comments? I know my #1 can’t be too popular of a choice. Anyone else stoked for The Gangster Squad?